Posted on December 18, 2013 at 16:41. 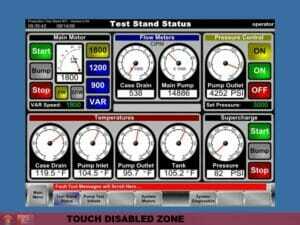 In most cases, industrial HMI software is designed to run in a full-screen mode, where all the user sees (and can therefore click on using a touch screen) is the HMI application itself. This prevents the user from interacting with the operating system directly and accidentally closing the HMI application, rebooting Windows, or worse. But not all industrial control applications provide this level of restriction – some control applications, or even standard desktop applications used in an industrial environment, might fully expose the Windows start button, the “close” and “minimize” icons, or other areas of the screen you may not want your users to interact with. For example: you may want to provide users with a full-screen browser to view assembly documents, but you really do not want the user to be able to close the browser itself. Diagram 2 – This configuration would only allow the end user to touch the control buttons. All areas outside the green are not accessible. Our new driver’s Touch Zones feature allows you to designate areas (“zones”) on your touch screen interface that are no longer active “click” areas. These zones can either be exclusive (you can touch anywhere but here, shown in diagram 3), or inclusive (you can only touch here, diagram 1 & 2). Exclusive zones are good when you specifically want to block a small part of the screen, like the Windows start menu and task bar. Inclusive zones are good when you want to get very granular and only allow very certain parts of the screen to be activated. Diagram 3 – This configuration would prevent the end user from accessing the taskbar. All other areas outside of the red area are permitted. 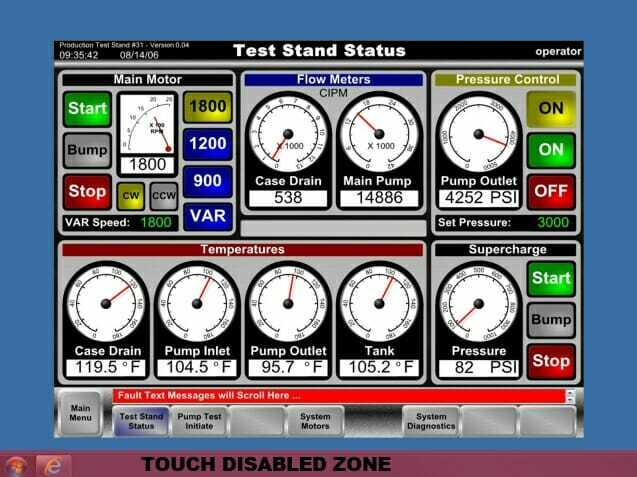 Elo has done an excellent job with this feature, which provides yet another value to Hope Industrial Systems’ customers: putting you in further control of your system’s user interaction. We look forward to other exciting improvements from Elo in the future!